In this age, it's not often one can say they crossed the border without flashing their passport or getting drilled with questions, but the border to Scotland is a bit confused. Scotland is it's own country with it's own parliament and capital, and most obviously, it has it's own culture with plaid kilts and bagpipes, and yet Scotland sits under the rule of Her Majesty the Queen of England. "Scotland is to the UK as Ohio is to America," Andy, one of our many tour guides said. This made the transition into Scotland quite easy as we crossed the border last Friday—I hadn't realized we even crossed over until we came upon the steep, rocky coast. With rolling hills and grazing sheep—the white fluffy kind with black heads—on one side of the road and a jagged cliff with crashing waves on the other, we drove through the countryside of Scotland with the setting sun, arriving in Edinburgh in the black blanket of night. We kicked off our first night with a ghost tour, exploring deep within the city's underground vaults. As the final tour of the night, we had to blow out each candle, leaving behind dark, empty rooms with only one way out through the shadowing corridor ahead. Our tour guide's deep Scottish voice, thick and throaty with a heavy roll of his R's, filled the chamber like a haunting presence and his occasional SCREAM made us jump and shiver in our skin. But this was only the first of our 5 tours. 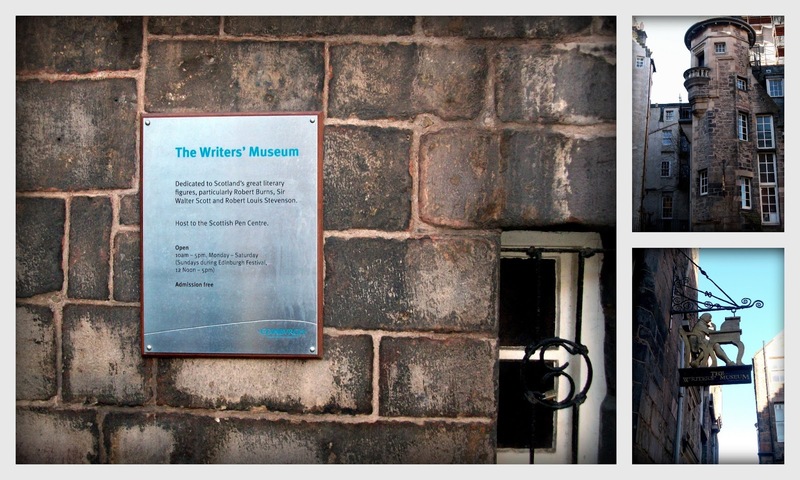 We toured the city for 3 hours Saturday morning, meandering through cemeteries and side streets, stopping at historical landmarks like the Writer's Square where Sir Walter Scott and Robert Burns found inspiration and the Grass Market where the public gallows once stood. Almost all of Saturday was sunny with a bright blue, cloudless sky—a rare spectacle for Scotland and most of the UK. We toured St. Giles Cathedral where the Thistle Chapel seats the Knights of the Thistle, Scotland's order of chivalry—Prince William was the last to be knighted. Also, the Cathedral is the only church in the world to have a carving of an angel playing a bagpipe. Classic Scotland. After visiting the gravestone of the great Adam Smith and gawking at the marvelous geography surrounding Edinburgh, we toured Holyrood Palace where centuries of kings and queens have resided, including Queen Mary of Scots—the jealous queen of Scotland that fought for the throne of England until she was beheaded, her head rolling off of her wig as she was pronounced dead (lovely lady)—and Her Majesty the Queen who resides in the palace during the Summer. It felt slightly odd to wander through the processional rooms and bedrooms of these great rulers as if I would walk in on them changing in their closet room. I shiver just thinking of the vast history—history that's older than my entire country. Lastly, we toured the Edinburgh Castle that is built on the edge of a cliff, straight out of the volcanic rock on the hill side. The fortress has an endless display of Scottish history, including the Scottish Crown jewels, military museums, war prisons, and underground caverns. Again, the history blew me away. 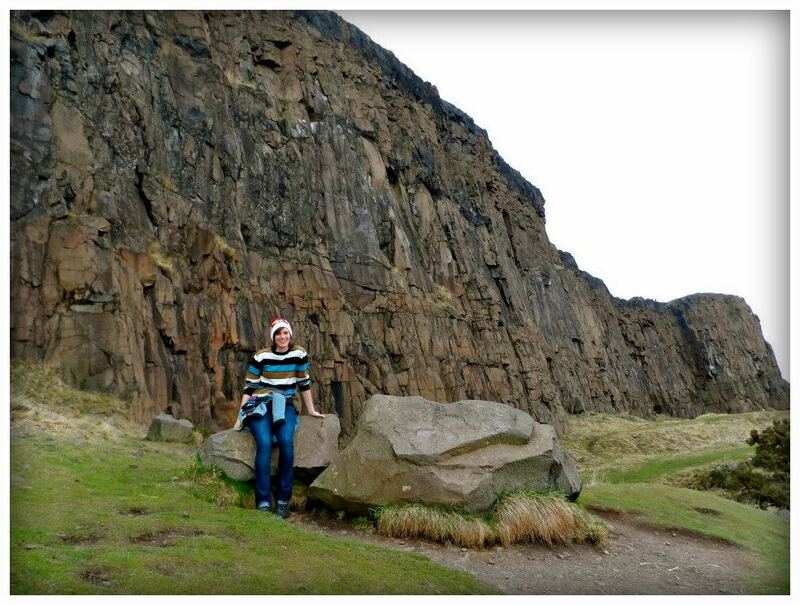 But the highlight of my trip was beyond the city streets, past the big cathedrals and palaces, and way up high where the wind blows colder and the clouds feel thicker: Arthur's Seat, a towering hill covered in the greenest grass and the sharpest volcanic rocks. The hike became progressively more stunning with each step up the steep hillside as the horizon grew longer and reached to further distances. At the top, we could see for miles way out into the Scottish highlands and far across the Firth of Forth—a body of water called a fjord carved out by a receding glacial. After 5 tours, a 3 mile hike, and endless exploring, I experienced some of the grandeur of Scotland. But the little things count too. I ordered my first scotch, choking it down with my beef pie and trying not to make a face; I tried the local dish, haggis, ground meat cooked in a sheep's intestines; I ordered a bright orange soda called IRN BRU that tasted like bubblegum cream soda; and I tried a pulled-pork sandwich with apple sauce from a restaurant called Oink. But the one thing I didn't experience was driving down a tiny cobblestone road overrun by sheep in the back country—that's still how I picture Scotland. Next time.